Denver Union Station has won the Best Development in Commercial Property Executives (CPE) 2015 Distinguished Achievement Award. After years of redevelopment efforts, The Great Hall at Union Station is now very active with a mix of restaurants and shops. The upper floors of the historic station now serve as the Crawford Hotel. 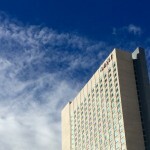 The hotel is named after well known preservationist Dana Crawford who spearheaded the efforts that saved Larimer Square. 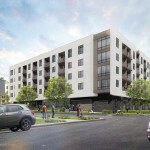 Trammell Crow Company served as the owner’s acting representative in the entity comprised of key public and private stakeholders known as the Denver Union Station Project Authority. This award is presented to a project that encompasses good teamwork, innovation, benefits the surrounding community, and illustrates sound business and financial decision making. In addition to the redevelopment of the historic Great Hall is the creation of a transit hub at DUS. 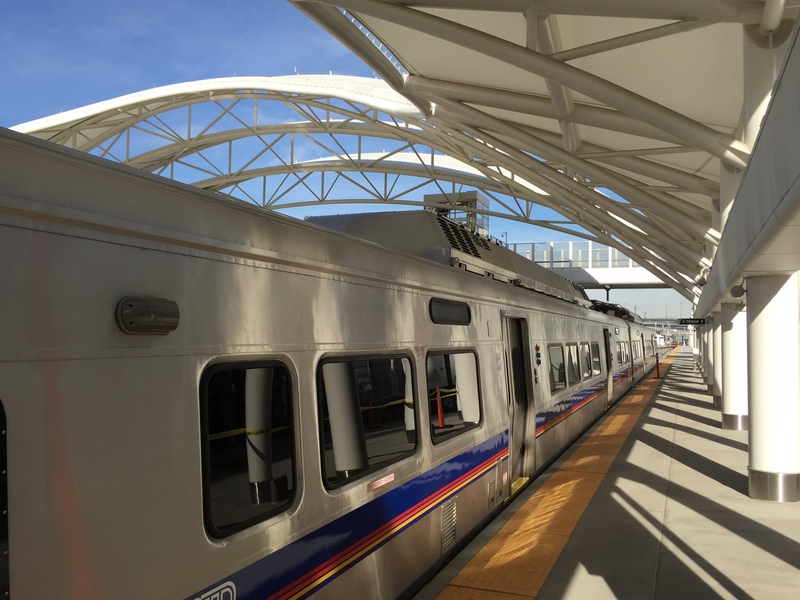 A new train platform has been constructed that will serve Amtrak as well as RTD trains. Exterior view of the RTD Commuter Rail Car at Denver Union Station DUR. Beginning in 2016 RTD’s East Line will open. This commuter rail line will provide access from DUS to Denver International Airport (DIA) on trains that will travel up to 79 miles per hour. Trains will cover the 22.8 mile distance between DUS and DIA in 35 minutes. Also included in the new transit hub is a 22-gate underground bus concourse. The bus concourse was designed with skylights and bright yellow tile to make the subterranean space more inviting to travelers. 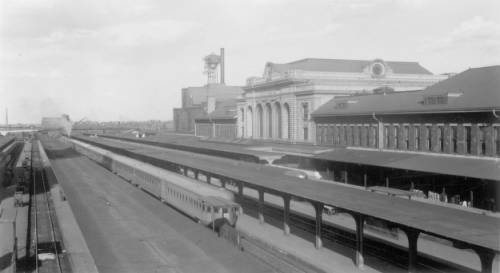 Denver Union Station in 1941. Photograph courtesy Denver Public Library. Back in Denver’s early days the Transcontinental Railroad bypassed Denver when builders elected to construct the railroad through Wyoming. They felt the smaller mountains would be easier to negotiate than building the railroad over the larger mountains of Colorado. The nearest railroad station was in Cheyenne, Wyoming. 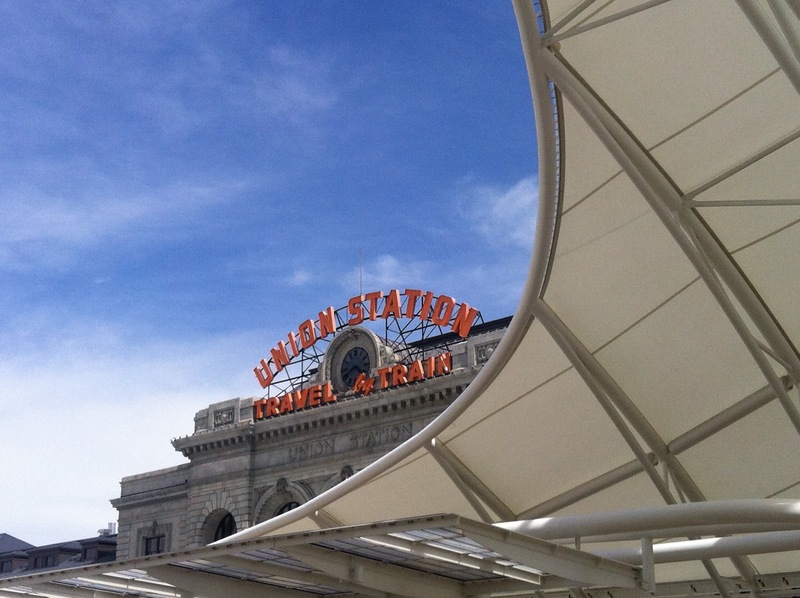 Denver’s business leaders recognized that for Denver to grow it was critically important to have a rail connection to the rest of the nation. To that end, Denver’s business leaders raised enough money to build a rail spur from Denver to Cheyenne and in 1881 the Great Hall at DUS opened. Passenger rail travel dramatically decreased during the second half of the 20th century as air and highway travel became more popular. During that chapter DUS became a quiet place. However, through the tremendous efforts of public and private groups, today Denver Union Station is once again alive and back on track.